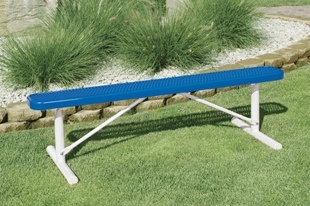 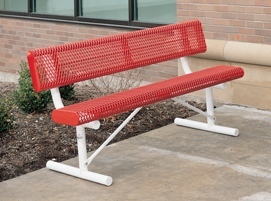 Barrett Robinson offers a full line of steel tables and benches with PVC-coated tops and seats, umbrellas and accessories. 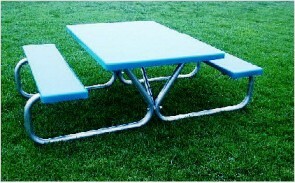 Designed for tough commercial use, our line of steel tables and benches combines super durability with exceptional aesthetics. 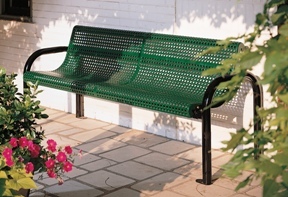 All tables and benches (except where noted) have PVC-coated tops and seats with our exclusive armor-protected finish for ultimate mildew, stain and UV protection. 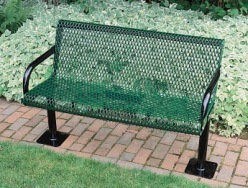 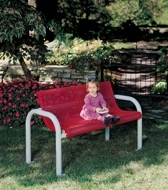 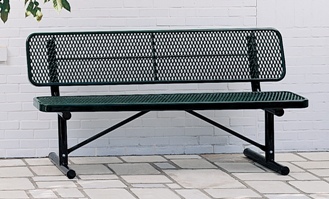 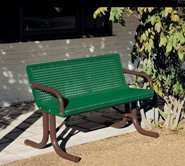 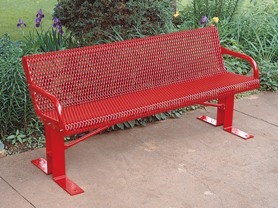 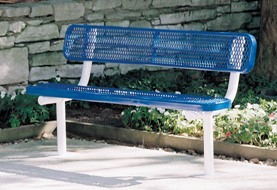 Legs and frames are either 1 5/8" LD or 2 3/8" OD powder coated or galvanized steel tube. 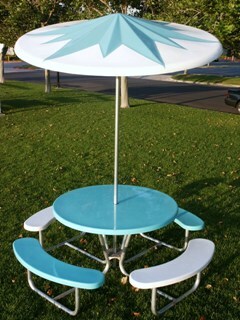 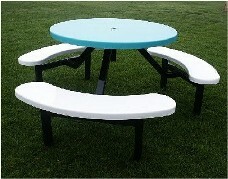 All round tables have a 2" umbrella hole as a standard feature.